During this academic year, the IE Humanities Center has organised a Cycle of Conferences focused on Russia in which we have had the opportunity of discussing Russia’s past and present from different angles, from cultural to economic, from literature to cinema. We have been fortunate enough to enjoy the presence of renowned world specialists from prestigious universities worldwide, as well as professional from other areas, in both our campuses, Madrid and Segovia. In order to get a better understanding of Russia’s geopolitical position, an economic expert in Emerging Markets from BBVA Research Division, Álvaro Ortiz Vidal-Abarca, joined us to present and dis cuss the current figures of Russian economy in order to better grasp what are the real opportunities of Russia as a BRIC country in current competitive global markets. Our Professor Patricia Gabaldon of Economic Environment of the IE Business School hosted the session and the debate (February 18th, 2016). After discussing current economic affairs, we turned our eyes back into the past, for which we counted with the presence of two great historians Pierre Gonneau (Université Sorbonne-Paris IV) and Simon Franklin (University of Cambridge) to discuss historical ghosts and historical constructions and how do they affect international relations and current conflicts, such as the one in the Ukraine nowadays. 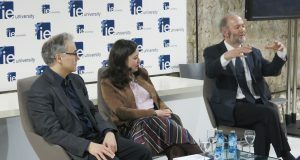 The session took place on March 3rd in Segovia. Both sessions in Segovia were hosted by the Director of the Seminar Susana Torres, Professor of Humanities at IE University. 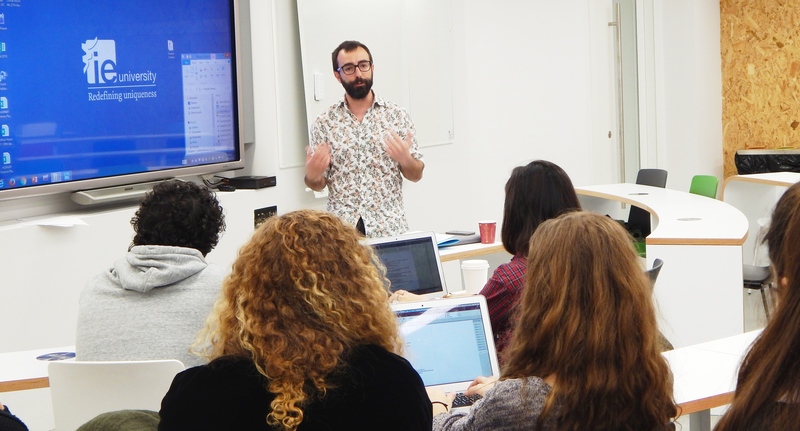 The last conference this academic year was presented by Jaime Dezcallar, film director and enthusiastic specialist on Russian cinema. Jaime presented with the help of fascinating videos and multimedia material the history and social and political uses of Russian cinema since it began at the beginning of the 20th century, and all its artistic and technical innovation throughout this century and How these new language deeply influenced great masters of the cinema such as Alfred Hitchcock. The session took place in Madrid on April 21st and it was hosted by Fernando Dameto, Deputy Director of the IE Humanities Center. Another session, focused on Russia’s international relations, presented by Ambassador Francisco Javier Elorza, former Ambassador in Moscow, will take place at the beginning of next academic year. We look forward to it!